Now isn’t the time to panic. Now is the time to sort the strong buy stocks from the crowd. It’s time to be active but selective when choosing the best stocks to invest in for the long haul. With the market so choppy right now all ten of these stocks are trading at extremely compelling levels. The selloff has unlocked value and created some great buying opportunities. Some of these stocks have reported mixed earnings results, but the bullish long-term picture is nonetheless firmly intact. Indeed, as you will see below analysts are also calling these specific stocks cheap right now. Here I use TipRanks market data to be a bit more precise. Apple Inc. (NASDAQ:AAPL) shares plunged last month after the tech giant’s fiscal fourth-quarter earnings report. This was despite Apple beating out the Street’s predictions by 20% with revenue of $62.9 billion and EPS of $2.91. Two subsequent rating downgrades caused a further blow to share prices. However, top-ranked Wedbush analyst Daniel Ives (Track Record & Ratings) is bullish. He has reiterated his “buy” rating with a Street-high price target of $275 (down from $310). From current levels, this indicates lucrative upside potential of over 65%. Yet, Ives still believes in the long-term bull case surrounding Apple stock. Ives points to Apple Services as a game-changer for the stock. Apple now has an active installed base of 1.3 billion devices to monetize. “We caution investors not to lose sight of the massive metamorphosis on the horizon at Apple being led by the services business,” Ives wrote. “We continue to encourage investors to see the forest through the trees on this name and view last week as the first step in the ultimate re-rating of the stock higher over the coming years.” Interested in AAPL stock? Get a free AAPL Stock Research Report. 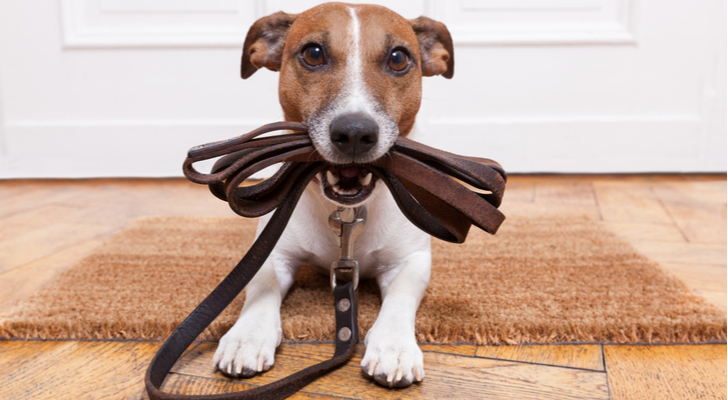 It’s time to play fetch, says Cantor Fitzgerald’s Brandon Folkes (Track Record & Ratings). 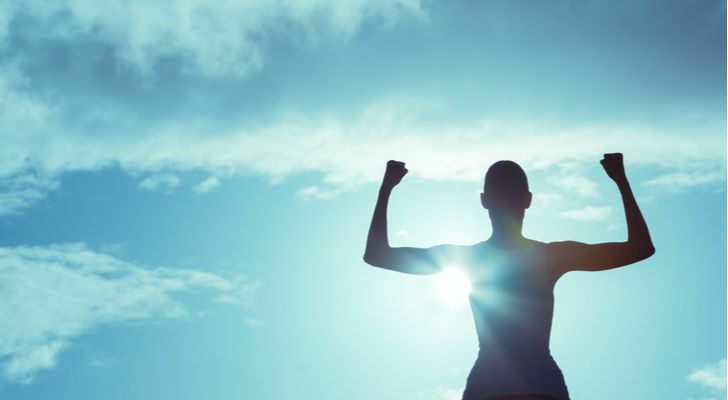 Pet biotech stock Kindred Biosciences Inc (NASDAQ:KIN) has just released positive pilot data for the company’s first antibody product, KIND-016, for atopic dermatitis in dogs. Plus a word of reassurance about a crowded market: the market has sufficient capacity to support multiple blockbuster products, including KIND-016. 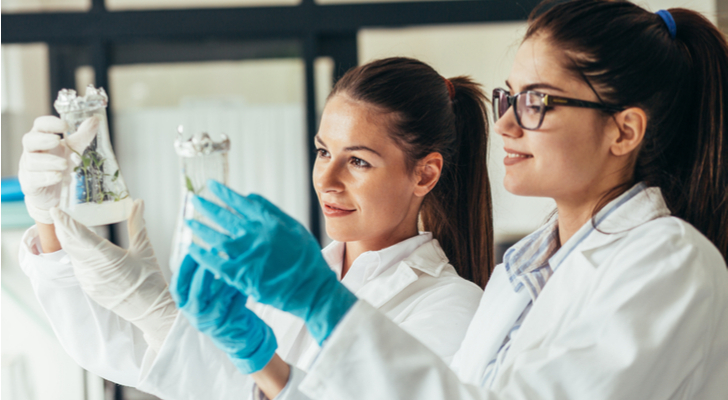 Bottom line: “We believe KIN’s pipeline of novel animal health drugs will drive long-term shareholder value, and we expect upward earnings revisions, multiple expansion, and pipeline advancements to drive the stock higher.” Get the KIN Stock Research Report. It’s worth taking a look at the bigger picture when it comes to Alibaba (NYSE:BABA) stock. 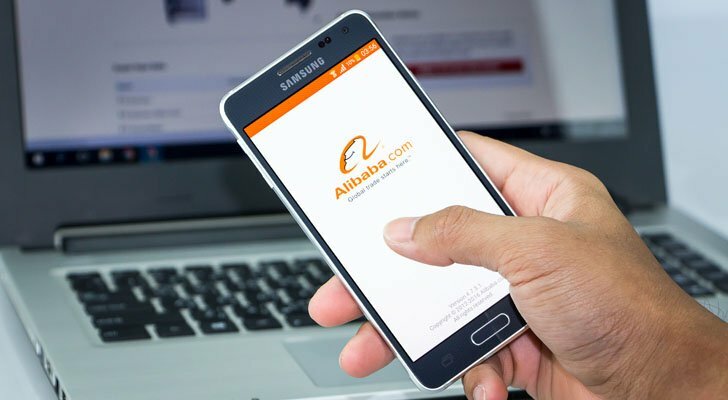 And analysts are unanimously optimistic on China’s e-commerce giant — especially when it comes to the long-term. Okay, so the company reported mixed Q2 results. Alibaba’s Q2 ESP of 9.60 yuan ($1.40) came in well above the 7.43 yuan expected by the Street. But BABA also cut its full-year sales forecast by 4-6% due to concerns over the economic impact of a U.S.-China trade spat. These macro issues have brought shares down 16% year-over-year. However, this just makes the upside opportunity even stronger. On average top, analysts are modelling for 50% upside potential. He calls strategic investments in Ele.me, Lazada, New Retail and Cainiao “the right ones” while BABA’s consistent, robust growth rates are indicative of the platform’s strength and scale. Finally, Cloud continues to demonstrate hyper-growth (+90% Y/Y). Get the BABA Stock Research Report. Aluminum stock Alcoa Corp (NYSE:AA) is just too cheap to ignore, says Credit Suisse’s Curt Woodworth (Track Record & Ratings). He made the call on the back of stellar Q3 results. Encouragingly, AA also announced a $200M buyback program. This is a stock that is now ‘significantly undervalued’ writes Woodworth. He sees Q3’s strong operating performance and tightness in alumina supply sparking meaningful earnings revisions across the Street. Like Alibaba, Alcoa scores a full house of Buy ratings from the Street. Meanwhile, the average analyst price target of $60 suggests upside potential of over 65%. Get the AA Stock Research Report. 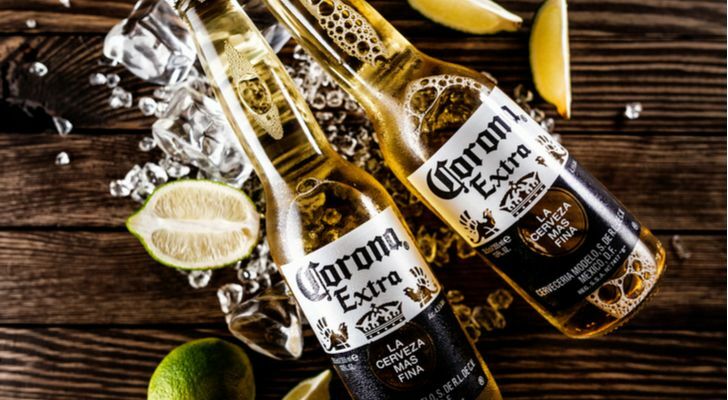 Drinks giant Constellation Brands, Inc. (NYSE:STZ) has just reported a ‘beautiful quarter.’ Powerful growth resulted in EPS soaring 15.6% from Q2 with sales up over 10%. “The core business is growing faster than anyone believed, and the Canopy Growth investment is very likely a masterstroke,” gushes Pivotal Research’s Timothy Ramey (Track Record & Ratings). The company has just announced a massive $4 billion investment in Canada’s Canopy Growth for a 38% stake (up from 9.9% previously) — our “exclusive global cannabis partner,” according to Constellation Brands CEO Rob Sands. “We are convinced that CGC is the best way to play the rapidly growing Cannabis market and investors should begin to fully reflect that value and CGC’s prospects, rather than penalizing STZ for the cash carrying costs of the investment” argues Ramey. Plus, Constellation trades at 22x our estimate of FY20 EPS and 17.3x FY18 EV/EBITDA — no doubt as cheap as STZ has been in the past five years. If we look at Ramey’s $300 price target, this suggests 70%-plus upside from current levels! Full steam ahead I say. Get the STZ Stock Research Report. 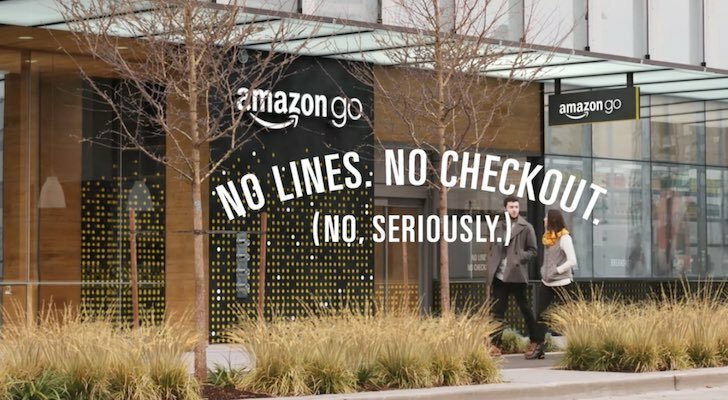 Contrary to Street expectations, mega stock Amazon.com (NASDAQ:AMZN) failed to impress with its recent 3Q18 revenue results. Meanwhile, AMZN guided for Q4 operating margin of $2.10-$3.60B (4.1% margin at the midpoint). This was below the Street’s $3.86B forecast (5.2% margin). But don’t be put off. Instead, consider this an early holiday discount. Stifel Nicolaus’ Scott Devitt (Track Record & Ratings) stuck to his Buy rating post-earnings with a $2,400 price target. From current levels, this indicates 44% upside potential. “Weaker than expected guidance may caution some, though we note results remain strong on an absolute basis and maintain our positive view given Amazon’s leading position in the Cloud services and retail sectors and the growing margin opportunity as the revenue mix shifts towards the higher margin AWS and advertising businesses” states the Stifel analyst. Plus from a longer-term perspective, AMZN still stands out from the crowd. “Amazon, in our view, remains one of the best longer-term values in Tech and we still see a path to where the shares could double over the next three years,” says Aegis’ Victor Anthony. These analysts enjoy a clear majority when it comes to AMZN stock. With 36 recent buy ratings, only one analyst (KeyBanc’s Edward Yruma) is still on the sidelines. Get the AMZN Stock Research Report. HC Wainwright’s Andrew Fein (Track Record & Ratings) has been forced to reanalyze his take on biotech stock Vertex Pharmaceuticals, Inc. (NASDAQ:VRTX). And if this isn’t a stock on your Buy list, I suggest you reanalyze too! “We have recently returned from the North American Cystic Fibrosis Conference, and in conversations with physicians, nurses and CF care-givers we were astounded by the positive reaction the cystic fibrosis community has towards the Vertex triples” Fein writes. With this heightened likelihood of success in mind, Fein takes the stock to a bullish $220 price target (27% upside potential). Taken together, these triple regimen assumptions yield POS [probability of success] adjusted worldwide revenues of $529M in 2020 — and get this — could grow to $7.3B by 2024. Overall this strong buy stock scores 10 recent buy ratings versus just one hold rating. Get the VRTX Stock Research Report. 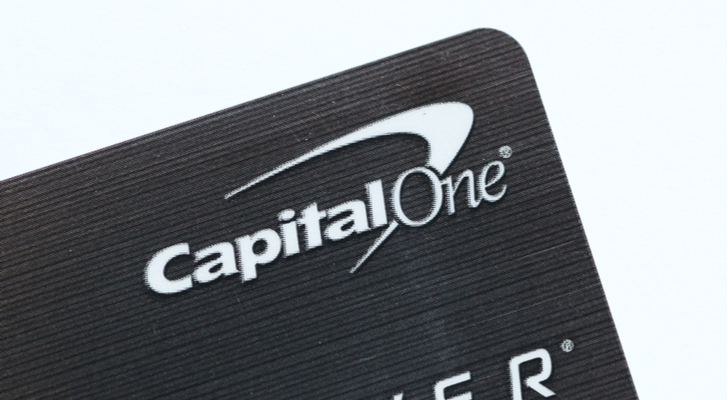 Capital One Financial Corp. (NYSE:COF) is a bank holding company specializing in credit cards, auto loans, banking and savings products. “We see favorable credit, modest loan growth, and thoughtful expense management to support our positive fundamental outlook — shares meanwhile are very modestly valued at 7.8x 2019E,” opines RBC Capital’s Jason Arnold (Track Record & Ratings). He made the comments following a resounding Q3 earnings beat. COF reported GAAP EPS of $2.99 vs. the firm’s $2.77 estimate. Encouragingly, improved credit performance and favorable outlook suggest “growth math” continues, and that credit losses should remain more stable. Arnold now has a $123 price target up from $121 previously, which means he sees 41% upside potential. In total, COF has received 8 recent Buy ratings with 1 Hold rating. Get the COF Stock Research Report. If you are looking for a bit of a leap of faith, then this could be the stock for you. Newell Brands Inc (NYSE:NWL) is a worldwide marketer of consumer and commercial products with a portfolio of brands including Rubbermaid food storage, home organization and reusable container products. “We think the recent sharp selloff in NWL shares is way overdone and would be aggressive buyers at these levels” writes Wells Fargo’s Bonnie Herzog (Track Record & Ratings). She sees shares soaring a whopping 80% to $36. Herzog believes the underperformance is down to a large shareholder unwinding their position (which could be close to being finished) as well as several concerns including: no news on asset sales, high leverage and exposure to China. Net-net, that presents a great buy opportunity — with significant upside to shares even in Herzog’s worst-case scenario. Get the NWL Stock Research Report. This semiconductor stock has just held an upbeat analyst day — sparking 13 Buy ratings from the Street. This includes an all-important upgrade from BMO’s Ambrish Srivastava (Track Record & Ratings). Here’s why he is moving to the bull camp on Marvell Technology Group Ltd. (NASDAQ:MRVL). “We have stayed on the sidelines long enough. We like the valuation, we find the risk/reward attractive ($6 upside/$2 downside), find estimates reasonable, especially after Marvell cleared the deck on the Cavium estimates, and management has built a track record of executing,” cheered Srivastava. He thus raised his rating on shares to Outperform with a $24 target price (36% upside from current levels). At the analyst event, management singled out 5G as MRVL’s largest growth/upside driver going forward, while announcing a $1 billion share buyback authorization (up from $300M previously). Get the MRVL Stock Research Report. Article printed from InvestorPlace Media, https://investorplace.com/2018/12/10-strong-buy-stocks-trading-at-killer-entry-points/.